Hello everyone. 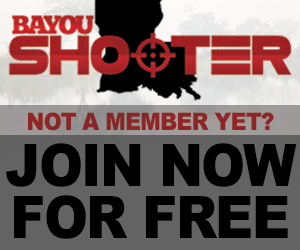 I'm new to the forum (and to Louisiana). I didn't see a forum section designated for discussion of gun safes, so I thought this thread might belong here. Please correct me if I guessed wrong. I'm in the process of moving to NOLA. At least moving my primary residence to NOLA. I'm coming from Redondo Beach, in the Los Angeles "South Bay" beach cities. I'll be keeping my place at the beach, but most of my life, and nearly all guns, will move to NOLA. I have a monster of a gun safe in California: a Fort Knox Guardian 7241. With 1/4" walls and a steel liner, this thing weighs more than 1600 pounds and cost about $6500. I'm very happy with the Fort Knox, but, like most every traditional gun vault, it isn't particularly well organized for storing actual guns efficiently. For the place in NOLA, I'm currently planning to do something completely different. I'm about to order a SecureIt Agile Quad 52/40. I'm curious if any of you guys have experience with SecureIt firearm storage systems. There are several factors pushing me in this direction, not the least of which is the prospect of getting something like a 1600 point Fort Knox up into a second floor loft apartment. I also think the concept of a well organized lightweight gun cabinet makes sense. I'll have cameras and an alarm there. Any comments on this plan or experience with SecureIt? Have Mike Ward's deliver one. I think it would be a great fit for the needs you have. I love SecureIt's sales pitch. "Gun safes don't work so if you're going to spend the money, spend it on us. We're lighter and better organized." "These Rocky Mountains aren't very rocky. Yeah, that John Denver is full of SH**!" Just get a real one brought to you. Have you ever priced a *real* safe? Welcome to Louisiana. My wife and I moved here after almost two decades in North Carolina, and we've found our home. The people are great, the landscape is breathtakingly beautiful, and the silly gun laws have, for the most part, been kept at bay. I looked seriously at a SecureIt 52 a year or two ago, and I decided against it for a simple reason: safes should not be "ultralight." But I also wasn't moving into an apartment, and I knew that where my gun safe ended up would be its resting place for the remainder of my (hopefully long) natural life. So, that said, this safe will make stealing your guns inconvenient, but easier than a more traditional (and heavier) safe. If you've got good multilayered security, then you'll probably be mostly concerned about a "smash and grab" type of burglary. And this would probably work. I would just be cautious who you bring into your home, because a gun safe like that would say to anyone "there's a lot of nice guns in here."